Filmmaker #ShashankKhaitan said #Dhadak's producer #KaranJohar has praised the film and said he is proud of it. Director Khaitan interacted with the media at a special screening of "Dhadak" on Thursday in Mumbai. 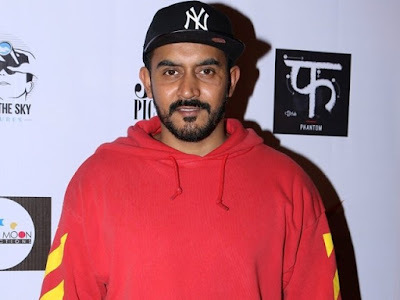 When asked about producer Karan Johar's reaction after watching the film, Khaitan said: "I am standing here happy that means he has praised the film. "Karan is really happy and he said he was proud to have made this movie but it is not right we praise our own film. We want audience to watch the film and talk about it." Talking about initial response to "Dhadak" from the film industry, Khaitan said: "Till now, everything is going good. Our friends, families and crew are really excited to see the final product. We will know honest reaction tomorrow once it gets released among the audience but as of now, I am feeling good as many people have seen it and tweeted about it on the social media. "We are really happy with the film and excited to know audience reaction." 'Dhadak' is remake of marathi a romantic drama 'Sairat' released in 2016. It is directed by Shashank Khaitan, produced by Dharma Productions and Zee Studios and stars Janhvi Kapoor and Ishaan Khatter in lead roles.